Tree Pro is introducing a new pricing concept “ONE LEVEL WHOLESALE PRICING” for Vine Pro . This offers Vineyards pricing reserved for dealers. This offers Vineyards pricing reserved for dealers. Prices offered until December 30th. The Research! 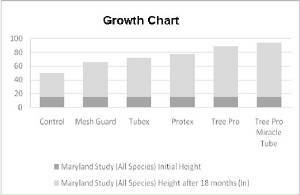 Tree Pro protectors has outperformed competitors in growth and survival in independent studies. 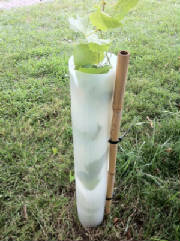 Just two examples: In a Study done by the Maryland Department of Natural Resources, Miracle Tube out grew the Competitors by an average of 16 inches, and more than twice as tall as unsheltered seedlings. 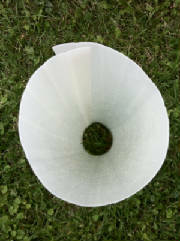 They recommend using Miracle Tube to significantly increase height and diameter of seedlings. 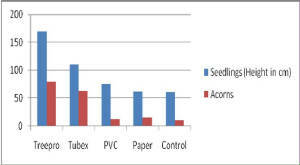 In a study of Red and White Oak by The Pennsylvania Bureau of Forestry, Tree Pro out grew the competition by approximately 45 centimeters and had higher survival rates.